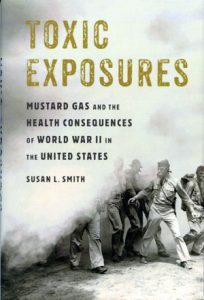 Surely,” asserts Susan L. Smith at the end of her meticulously researched and thought-provoking Toxic Exposures, “the history of the mustard gas experiments during World War II provides a powerful lesson in why such medical experimentation necessitates public scrutiny and public debate.” Indeed. During the war, at Suffield, Alberta, groups of 60 Canadian soldiers at a time were told to gather while Canadian military planes sprayed mustard gas—a “bluish rain”—over the men. “They didn’t tell us what it was or to put on respirators,” recalled a soldier. On other occasions, groups of six soldiers were put into a windowless bunkhouse that was then filled with gas. One time live rabbits were also put in the “gas chamber” with the men. The rabbits died. In these and thousands more toxic gas experiments performed on soldiers at Suffield and other Allied research locations during the war—medical experiments conducted with “utter disregard for the harm inflicted on the servicemen”—Allied soldiers were injured with badly blistered faces, limbs and groins. The experiments left a legacy of human suffering and government denial, along with toxic dump sites in Canada and around the world. They also played a key role in the discovery of chemotherapy treatments for cancer. Ironically, the only time mustard gas was used in the war was when a US destroyer carrying the gas in secret was blown up in a harbour at Bari, Italy, badly injuring thousands of Allied soldiers. In a report on the incident, a US military doctor noted that victims also suffered damage to the lymphatic system and bone marrow. He theorized the gas could be used to treat cancer, a key insight in the development of chemotherapy—essentially “poison with anti-cancer side effects.” This accidently fortunate outcome resulted from treating people and land as expendable. 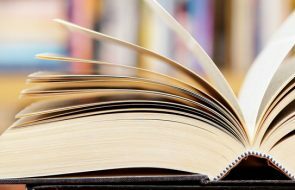 It’s a cautionary tale that should be widely read and discussed. —Tadzio Richards is an associate editor at Alberta Views.